It is my pleasure to introduce FOCUS to you. A thought-letter aimed at supporting advancement of the solar energy sector in India. In terms of economics and business, I think we are living in the best times in India. A land full of opportunities and a story backed by sound statistics and hope in almost every domain. It is my pleasure to introduce FOCUS to you. A thought-letter aimed at supporting the advancement of solar energy sector in India. In terms of economics and business, I think we are living in the best times in India. A land full of opportunities and a story backed by sound statistics and hope in almost every domain. However, hope comes with a rider of thought and responsibility. The responsibility of shaping future in such a manner where opportunities are multiplied to the benefit of stakeholders involved (including the society’s), in an optimum manner. So, when we talk about solar energy domain, the question is whose responsibility is it? The answer that I have is - everyone who is affected by the manufacturing or the consumption of solar energy. At least the ones who are directly affected by development of the domain. The renewable energy domain, including the solar energy, requires efforts from all irrespective of the size. We all need to put our thoughts together so that various people / stakeholders responsible to take the domain forward get the best and enough inputs to squeeze out the most relevant once. That is why I address you as a partner and call this platform a thought-letter. The thought-letter – FOCUS – is a small step to support the thoughts above. It is NOT a Newsletter or a news aggregator platform. The raison-d-etre of FOCUS is to propel thoughts that will shape this industry. The name has been derived from the lesson learnt in class 4 – if the Sun’s rays are focused at one place, tremendous energy is generated. That is the energy we intend to harness, isn’t it? The thought-letter consists of three sections – ‘The Industry Specs’, ‘The Lens’ and ‘Cross Connect’. ‘The Industry Specs’ is the name given to the guest column. ‘Specs’ is a noun and also means guidance. In our view, solar industry needs to keep its customers or potential customers very close to its ears. This is because a common understanding and connection with the industrial world at large is yet to be formed. Thus, their guidance in chalking out technologies that are relevant to them is highly important. ‘The Lens’ is another column by which Clique Solar would like contribute to the industry - putting relevant issues to debate. The last column is called ‘Cross Connect’. This will park some interesting facts, figures, ideas in the renewable energy domain. The idea is not to limit our thought to solar industry and remember that we are part of a larger domain. Who knows, we might cross connect an idea to use it in our domain. Markus Elsässer, Chief Executive Officer, Solar Promotion International GmbH, is the guest contributor for our inaugural edition. 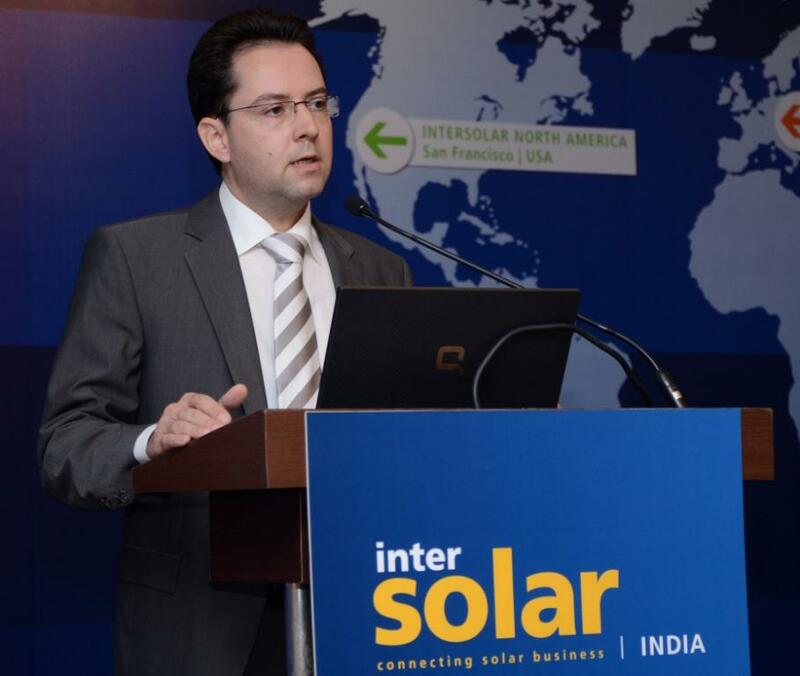 Solar Promotion International GmbH is the force behind the world renowned event in the solar energy segment – Intersolar. 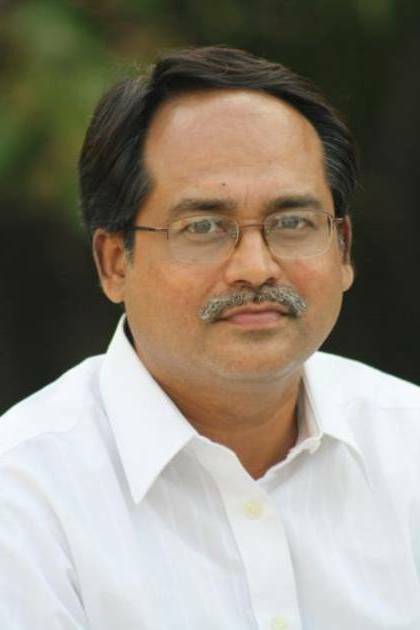 He gives his views on what will help India in putting solar energy domain on a growth trajectory. Thank you so much Markus. We will need help from many more people like you to help us deliver the thought-letter over time. With these words I present FOCUS to you - a short and focussed thought-letter. Look forward to hearing from you on this edition. You can write to us at focus@cliquesolar.com. Markus Elsässer, CEO, Solar Promotion International GmbH, writes about the crucial factors that should be addressed to put the solar industry on a growth path. The deadline to migrate to renewable energy has been and will always be yesterday. Amidst this, the demand for energy is increasing consistently and may be galloping in many parts of the world. The urgency is as one reads and interprets it; however we all agree that it should be carried out as quickly as possible. I see the glass as half full. The emerging economies of the world where the demand for energy is witnessing substantial rise, have a great advantage. The advantage of not having a legacy - starting with a clean approach, affordable technology and the global cooperation, could be a great way to start. And the best part is that we all have to work towards it together. I will discuss this briefly with you one by one and would love to get your views. Policy support is very critical. The support has to come not only from the central government but also through the states. The good news is that some states like Tamil Nadu, Gujarat and Andhra Pradesh have come forward with aggressive policies. A key bottleneck for the growth of the solar sector in India is financing. Several reasons contribute to this - lack of performance data, lack of awareness about the sector among lenders, high borrowing costs, high risk perception due to the Power Purchase Agreements (PPAs) with low tariffs, etc. Another critical factor is the infrastructure. In my opinion, there are two major infrastructural problems - land and grid. Regarding land, there are still issues related to land acquisition, legal ownership of the land and the possibility of legal disputes at a later stage. The grid in India is not available in many places that are suitable for solar and even if grid is available; it could be unstable, leading to less plant availability. There could be other factors, but if the factors mentioned above are addressed, solar industry will grow at an exponential rate. The key underlying advantages - the availability of enormous amount of sunlight and the huge power deficit - will ensure that all the mentioned factors will soon fall into place. The nation is home to many aspirations that will affect this country and also influence the world at large. These aspirations will the need help of energy in all aspects. Reports have stated that energy consumption in India is likely to double to 1,124 kgs of oil equivalent (kgoe) by 2031-32 on the back of high economic expansion. My wish would be to cover this requirement entirely through solar and other renewable solutions. Thus, India forms an important part of our vision and thus our future. We should take every step to match up and create a future that gives space to these aspirations in a sustainable and a joyful manner. Being a player in the solar industry, we feel it is our responsibility to work and contribute towards the overall growth and benefit of the industry. Thus Clique Solar feels as proud as writing for this thought-letter as constructing solar thermal concentrator for companies. Being a player in the solar industry, we feel it is our responsibility to work and contribute towards the overall growth and benefit of the industry. Thus, Clique Solar feels as proud as writing for this thought-letter as constructing solar thermal concentrator – ARUN - for companies. Passion can take any form and may be as unrelated as this thought-letter – FOCUS. To be honest, being in the industry feels like being part of a superhero based Hollywood movie where the good guys and the bad guys fight it out; and the good guy has no option but to win. The superheroes in our case being the renewable industry options – wind, solar and hydro energy and the bad guys being the traditional fuels. The bad guys, like a perfect movie script, are ruling the lives of people and wreaking havoc and unleashing terror across the world through rising costs, pollution and global warming. The idea is simple and very clear – we have to make the good guy win. What will help in winning is support from people. While the players in the industry can fancy and like the idea of renewable energy options saving the earth in the long term, unfortunately the road to long terms goes through the by-lanes of acceptance from people and being relevant to them. The Government has taken a number of steps and is consistently improvising to enhance scope of renewable energy options. However, this alone cannot lead to winning. Winning requires adoption from people and businesses on their own. This individual acceptance will greatly be achieved through solar energy, due to obvious reasons. There are hundreds of companies, factories, plants in the country that are using the dreaded fuel – LPG / diesel for heating, and are sweating over the thought of rise in prices. This clearly indicates that they would welcome any option that will lower the cost being spent on fuel. This unfortunately is not equating to the adoption of solar energy technologies. The common reason we hear is ‘cost’ (cost of installing a solar thermal system), which is one time. Yes, if the factor is seen in isolation, it will look large. But, the word to be noted is ‘ISOLATION’. We are sure that the concerns regarding cost factor in proposals are excellently addressed when juxtaposed with the payback period, life of the system, the free fuel (almost) available to the company for rest of the life of the system (which comes to 23 – 21 years if you are using diesel, furnace oil or LPG). Why are numbers not having that impact which should ultimately lead into sales? Why is this one-time cost translating into the fear of money going down the drain? After the excel sheet full of attractive numbers, the god appears in the form of trust. The feeling ‘too good to be true’ somehow seems to be true not only for the clients but also for the financial organisations. Also, false claims from some players have definitely contributed to this. CST industry’s credibility factor has been affected. Solar industry is in its infancy. And just like an infant needs care and nurture to grow we also need to work towards nurturing this industry. There are many ways in which we can strengthen trust in our industry. The efforts are not time consuming but will take time to show results. We are highlighting a few of them. - Approach the clients as advisors and not as vendors. This also translates into delivery of commitment made and handholding the client whenever needed. Clique Solar is working on the initiatives based on above ideas. We will keep sharing our ideas and initiatives with you. We would be more than happy to learn and discuss more ideas on strengthening trust amongst the end users in the domain. The sector has a huge burden and expectations just like any super hero has. As we say this, we remember a quote from ‘Spiderman’ – with great power comes great responsibility. Simplicity is beautiful. If it is environment friendly and cost effective, it adds charm to the beauty. Such is the idea of Mansukhlal Raghavjibhai Prajapati. He has developed a refrigerator that runs without electricity. Mansukhlal, a resident of Gujarat, to be precise - a tiny village near Rajkot, has built a refrigerator using clay. The product named Mitticool (‘Mitti’ is a word for clay in Hindi) uses the age old principle of ‘surahi’ ie. ‘cooling through evaporation’. It runs without electricity, keeps perishables fresh for five to seven days. It keeps water cold and can also keep milk and buttermilk fresh for almost 24 hours. It’s made by having a small tank at the top, which holds water and the bottom half acts as the fridge. The water tank and the special clay that the fridge is made of, together keep it cool. It’s a great innovation and the promise is huge especially for the people at the bottom of the pyramid and rural areas where long power cuts are a norm. Another great innovation to balance the carbon footprint of the Country. After all 70% of the populations is still lives in semi-urban and rural areas. Copyright © 2013 Clique Solar. All rights reserved.